Mid-Month Update with a New Business Idea! Hey y’all, so it’s been a busy few weeks for TSJ. Two weeks ago was ATHE (Association for Theatre in Higher Education) conference in Las Vegas, and last week, I finally moved out of the apartment I’ve been living in for three years…and into a house (well, an apartment attached to a house) about 20 minutes down the road in Middleton. I don’t officially move into the apartment part where I’ll be living until 9/1, so for these next few weeks, I’m sharing space in the house part attached to the apartment, along with the owners, my dear friend Andrea and her husband Roger, living in one of their guest rooms. My dissertation proposal is also on 9/1, and I still don’t have a job for the fall yet, so I’m kind of freaking out, and all the news coming out of Charlottesville isn’t helping. So in the meantime, my main (read: only) source of income is from selling jewelry with Hanna, and even that basically only covers spending money for the day – coffee, food, gas, and parking meters, now that I don’t live downtown anymore. I have been brainstorming other ways to make money and get my mind off of a lot of the stresses of life. Andrea, my new housemate, is quite the crafter and even though she has a day job, she makes and sells a few craft-type items on the side. Mostly things like little purses and magnets. The other night, as I was going through one of the thirty-ish boxes into which I packed my entire life, I found a small bag with some of the activities I made for Nigeria month at school. One of the things we learned was that different tribes in Nigeria have different costumes. The first week, we drew life-size versions of them, and I kept on reviewing the names of the different items each week so the kids would remember them, like the abaya (a dress for Hausa women), gele/buba/iro (items of clothing for Yoruba women), and lion’s head shirt/trousers (outfit worn by Igbo men). In the final week, Tribal Games, one of the activities was to match up pictures I had drawn of the different items of clothing to the correct names of the items and to which tribe they belonged. The drawings of the outfits ended up looking so cute that I kept them, and looking over at Andrea crafting at the other end of the couch, I got my idea. Imagine it: a set of refrigerator magnets of costumes from around the world, that you could mix and match on pictures of your friends, so it would look like they were dressed up in fun and fancy outfits! So, readers, here’s where you come in. Please vote in these two polls, as to a) whether it’s a good idea and b) what you’d be interested in buying. The choice is yours! My voice is almost gone and I’m falling asleep left, right, and center, but I think I managed to put together and execute a pretty good (if not interesting/unique) lesson plan for today. To preface: this month in Social Studies, we traveled from Greece to Nigeria, our first country in Africa. It’s proving to be a difficult country to teach, since I know way less about it than the others we’ve done so far (Russia in September, Argentina in November, China in December, and Greece in January), but I’m turning into my own expert, I guess. Good thing we are having a guest from Nigeria come in on Thursday, thanks to one of my co-teachers. Last week, I introduced Nigeria with a folktale, then taught some facts, and after that, broke the class up into three tribes, reflecting the three main tribes of Nigeria: the Hausa, which consists of (names changed) – Sara, Ben, Kanisha, Henry, and Suzanne; the Igbo, which is Kenny, Pilar, Jimmy, Shannon, and Hannah; and the Yoruba, which is Alexis, Abbie, Parker, Frannie, and Elizabeth. Their task was to create a costume from their given ethnic group, and at the end of class, the Hausa were in the lead, followed by Igbo and Yoruba. So, today, after reviewing some facts, and talking about the differences between the farmer’s market here and the one in a YouTube video about Nigeria, I introduced the next challenge: the Nigerian Marketplace. In this activity, two people from each tribe would set up a market stall while two of their other tribe members would set out and barter items with the other tribes at their market stalls, while the 5th person would write down and keep track of the ingredients and the recipes. The recipes each team needed to complete were Igbo okra soup, Hausa jollof rice, and Yoruba efo riro (a vegetable stew). Each recipe required different quantities of ten items, represented by differently shaped/colored pieces of foam, representing onions, tomatoes, curry, ginger, spinach, yam, okra, fish, rice, and ato rodo (red pepper). Each tribe’s market stall received a different amount of goods, and the buyers went around asking for different items that they needed, offering deals. The first tribe to return to the Social Studies classroom from the marketplace with all of the items needed to make all 3 dishes would win the challenge. It turned to chaos pretty quickly. Since the activity was supposed to emulate a Nigerian marketplace – it wasn’t too out of place. After the items were distributed to each tribe’s sellers, the buyers would get items from their team that they had too many of (for example, if they had too many onions), and barter for what they needed. Each group took a different approach. The Hausa tribe, which is mostly older kids, were very into the “character” aspect of the game and set their stall up neatly. Their sellers, Sara and Suzanne, stationed themselves behind the table and the buyers mostly stuck by them, only going out when absolutely necessary, adopting more of a “trading post” strategy. The Yoruba tribe, who completely imploded the previous week, were helped out by my boss, and they did a little better as a team but still struggled. This group had trouble understanding the challenge, and pretty much just did everything together, especially when Parker (a seller along with Elizabeth) lost interest and wandered away. As usual for that team, Abbie (the recipe writer) took control while Frannie (who was supposed to be a buyer along with Alexis) just sort of did whatever she wanted, annoying her team by picking up random items from their table and putting them on other tables, and taking random items and putting them on her tribe’s table, which made everyone angry. The Igbo tribe, which is most of the younger kids, started out with no real strategy; they did not have a lot of supervision, so their market stall was usually unmanned and just full of disorganized “stock” that the team kept trading. Pilar and Shannon were the two designated buyers and for the most part did what they were supposed to do, but Jimmy and Kenny, who were supposed to sell, got bored because the other two teams were pretty much just staying around their own tables while Pilar, Shannon, and Hannah bartered, so they started bartering their items too. Eventually, the Igbo team compiled all the things they had and put the dishes together, so they had two dishes completed rather quickly and just needed a few items from the other groups (the Hausa were arguing about strategy and Yoruba were still trying to figure out what to do) and managed to sneak through and get all their items through their “divide and conquer” strategy and within 30 minutes, they accompanied me back to “base” (the other room) to check on their dishes. There was some minor drama when Suzanne’s chair tipped over and she fell out and hit her head (she was fine, it was probably either clumsiness or for attention), when most of the boys just wandered away from the classroom because it was too noisy, and when the Igbo team realized that they had too many tomatoes, and traded some away, but then needed them back when they realized that a tomato had been put in the wrong dish, but initially, they had all their ingredients and came back first, winning the challenge. We were running very close to over-time, so I had the Igbo tribe clean up their items while I went to the other room. Basically, Abbie from Yoruba kind of gave up and started just giving all the items to Hausa because she was frustrated with her team, and even though neither group got all their dishes, I had them clean up anyway. That was when I learned that it can be risky to play this type of game with a mixed-age group; Alexis from Yoruba (age 6) came in crying because her team lost the challenge, and it took Abbie (age 10), Parker, and Elizabeth from Yoruba team, to cheer her up, telling her it was just a game. Abbie and Kanisha said that they understood that the point of the game wasn’t really to get all the items (actually, it was, kind of…to get the correct items) but it was about teamwork and working together (also true). In the final moments of class, I awarded 30 points to Igbo for winning and split 15 each between Hausa and Yoruba; gave Yoruba 10 points for “best leadership” (Abbie); gave Hausa and Igbo 10 points for “best teamwork”; gave Igbo 10 points for “best shoppers” (Pilar and Shannon); and a 5-point “sportsmanship award” to Yoruba for Abbie, Parker, and Elizabeth’s comforting of Alexis after losing the game. Who knows if the younger kids on Igbo would have cried had they lost, but they were quite happy to be the winners, and overlook the lead from Hausa while Yoruba still trailed behind. At the day’s end, Igbo was in first with 119 points, followed by Hausa (97) and Yoruba (84). Overall, I think this activity might have been too intense for the younger ones, despite them gaining the knowledge of haggling/bartering and Nigerian market products. Man was that exhausting. My voice is now almost totally gone, but hopefully this will serve as a good memory for the kids and they will have learned from the experience. What do you think about this lesson? Write it below! It’s been a crazy few days for me, but I can proudly say that I have several good posts in the works, including this one…it’s another book review! I finished two books this week, one fiction, and one theory. 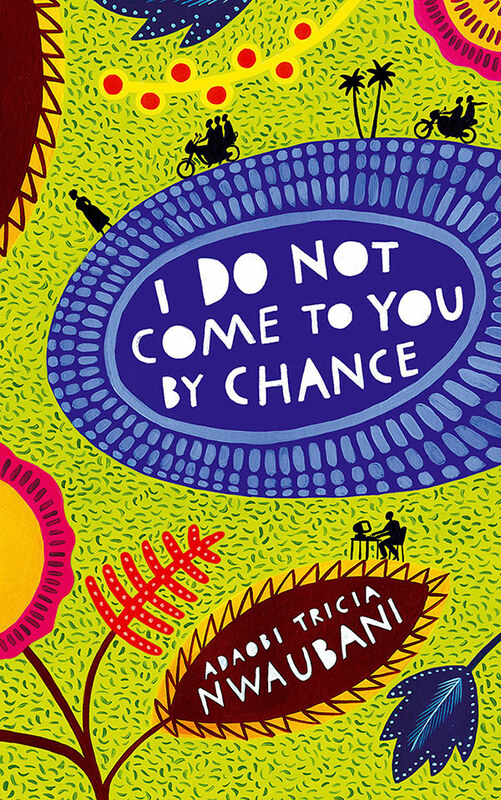 For my fiction selection, I traveled to Nigeria with Adaobi Tricia Nwaubani in I Do Not Come To You By Chance. Part II takes place some time in the future. Kings has gotten rich off of his uncle’s “business,” and has been sharing the wealth among his siblings. His father has passed away, and his mother just wants him to quit scamming, get a real job, and get married. We follow Kings on trips to London and Amsterdam, meeting with “mugus,” or their scam bait, and his high-priced hijinks. Kingsley also escorts a wealthy “investor” around Nigeria, forming an odd friendship and causing him to reconsider his life choices. He also, reluctantly, becomes a patron of prostitutes, thanks to his uncle’s meddling, once he finds out that Kings is not yet over Ola. Speaking of the devil, he randomly reconnects with Ola, now married and a mother, but based on his current occupation (and the fact that she’s married, and a mother) she rejects him. Meanwhile, Cash Daddy is running for office, due to his high reputation and Kings’s siblings are having issues of their own and in need of their brother’s help. The fall of Kingsley begins when he falls for Merit, a prostitute, who ultimately rejects him for his chosen career; then an episode in which he lashes out at his materialistic brother Godfrey for expressing interest in following in his father’s footsteps. When Cash Daddy’s empire falls to him as an heir, he takes the keys to the office but immediately rejects them, wanting more out of life. The epilogue is quite telling; like the prologue, it is narrated not by Kingsley but by his mother. Kingsley has used his ill-begotten millions to create a chain of Internet cafes around Nigeria, emphasizing that they are not to be used for illegal activity. When his mother visits him at work, she sees him dispelling a heated argument with grace, and begins to accept his changes. Kingsley is now married, not to Ola or Merit but to a minor character who is friends with his sister, and is running a legitimate business with the help of his wealthy investor friend. Wow, that was more than brief, but I could’ve gotten a lot more in depth, so good for me. I’d give this book a 3.5 to 4 out of 5. Taking into consideration that this is the author’s first novel, that’s not that bad of a rating. Other readers on Amazon and Goodreads have criticized Nwaubani’s awkward structure of using an entirely different character to bookend the story, as well as “poor spelling, grammar, and sentence structure.” Personally, I didn’t find this to be a problem at all; I took it as a mark of the author’s style, and it contributed to the authenticity of the novel. I found myself getting really invested in Kingsley and his struggle thanks to the language and his endearing optimism. Plot-wise, there is some weird stuff going on, but what I appreciated about it was that Nwaubani did not tie up all the loose endings. Life is not like that; sometimes things work out for the best, like Kingsley’s career, and sometimes, they don’t, like Kingsley’s love life. I think that it would have been an easy out to have Ola come back and beg for forgiveness, and I’m glad that didn’t happen. Kingsley not coming to a terrible demise was not unexpected, but there’s something to be said about forming a legitimate business with illegitimately-acquired money, an ethical dilemma that Nwaubani leaves behind as a gift to the reader. 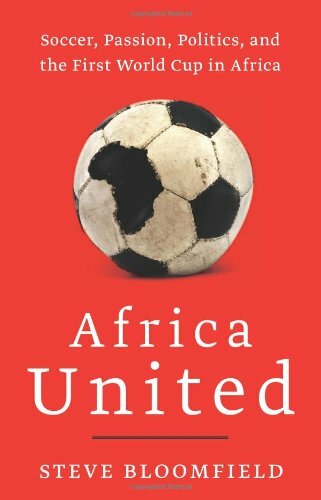 Overall, it’s a less-conventional novel that probably isn’t everyone’s cup of tea, but if you like a nontraditional structure, an open mind, and an interest in Africa, this might be the book for you. It wasn’t the perfect book by any means, but it was well worth my time. According to some promotional material, I Do Not Come To You By Chance is the first novel written from the point of view of a 419 scammer. I’m not sure I believe that, but, just like an elderly Nigerian businessman who really does have several million dollars to give to a total stranger, it could be true. Probably little more likely the former than the latter, but who knows? First things first – thanks for all the visits and to my followers who now number in the triple digits for the first time. Also, five new countries have come out to play over the past few days, so kalimera to Cyprus, bienvenidos to Spain, valkommen to Sweden, kyo tzo pa ti to Myanmar, and…to Nigeria, you are home to so many languages so I’ll just stick with welcome. Today was one of those days I always dread. Tomorrow is the first day of classes for the semester and I already have jitters even though it’s over twelve hours until my first class. Having only been back for four days, I feel totally unprepared. I haven’t even color-coordinated my notebooks, and after reading the syllabi for these classes, am puzzled at why I chose these classes, but I’m sure I’ll like them (or learn to). The first day back at the gym after a hiatus. It’s always the worst. You can lift a pin or swim eighty laps, but either way immediately afterwards you feel sick to your stomach. I know this, because it’s happened to me more than once. When I was an undergrad at UMass, I loved everything about campus aside from the gym situation. There were 2 gyms on campus and each were about the size of my apartment. You had to sign up for a treadmill hours in advance, sometimes a whole day during a peak week. So, I gave up on the gym since it was inevitably a 2-hour workout, with approximately 90 minutes of time spent waiting for machines and weights. In my senior year, a Planet Fitness opened up in Hadley, which was offering discounted memberships and oddly enough, pizza and tootsie rolls. The facility was massive and even during busy hours, you could easily find a treadmill. After my first workout there, I didn’t even make it home before I threw up on myself. And to make matters worse, I was driving at the same time, and then I stopped at a major town intersection and did it again. The only saving grace was that it was nighttime, but there was still a stain on the pavement in the Hillel parking lot for the next week or so (sorry about that – my shirt was in desperate need of being wrung out). At home in Baltimore, I don’t have access to a gym, only the weight room at the country club, which is pretty inadequate, but still, during a break from school and gym, after my first workout there, it happened again, only this time on the highway and in my mom’s car (sorry, again). Even when I attempted to start again after Lights Out and before the semester’s end, walking down the stairs at the SERF was an ordeal, and resulted in much dry-heaving in the bushes outside. I beat the curse today! Yes, it was a freezing walk home, but at no point was there any nausea, or anything. I wonder what that means. Also, thinking about it, it’s only been about 6 days since I last exercised, so maybe my body isn’t totally in sedentary mode yet. Of course, that does nothing about my body image/how I perceive myself. But at least I’m feeling fine. Except for the foot I will put in my mouth after I puke during my first class of the semester tomorrow.